Android Wear 2.0 Casio ces CES2017 SmartWatch Casio WSD-F20 Android Wear 2.0 smartwatch revealed! We all knew that Android Wear 2.0 is hitting the scene at CES 2017 and now we have the rugged Casio WSD-F20! It’s probably closer to looking like the watches we grew up with from Casio. That trendy futuristic look that still gives it a feel for the 90s. While it doesn’t scream “WOW” when you see it, this is definitely the smartwatch made for the “OnTheGo” always active type of person. 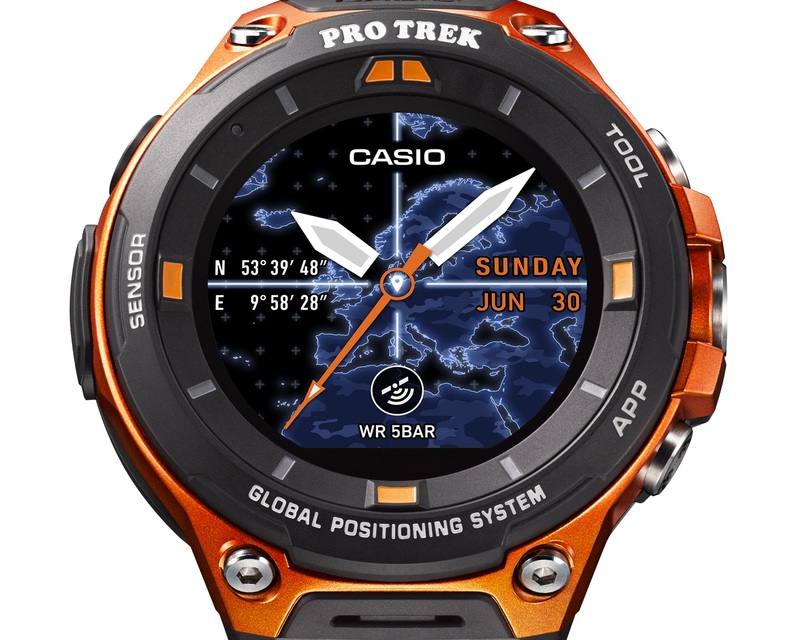 I’d call it the Casio Outdoorsy Smartwatch. It offers the MIL-STD-801G rating for protection and water resistance up to 50 meters. The buttons along the side give shortcuts to some of the tools and applications. The watch features something new, a low powered GPS sensor that allows location tracking even offline. It comes similar to previous displays with a dual display, which uses a monochrome mode to save you some juice. From the looks of it, we are looking at an availability date for April 21st with a nice price tag to be in the $500 range. Slightly crazy!